Back Office Pro’s (BOP) experienced architectural CAD drafting professionals support in retail space planning and visualizing the store layouts. It’s in your best interests to outsource retail space planning requirements to BOP when the heavy influx of work becomes too heavy to bear. 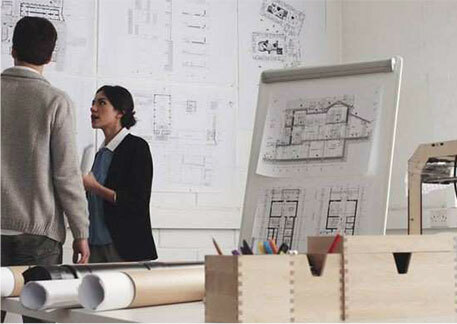 Working as back-office support for over a decade, we are well-versed in the provision of drafting and design services related to office and store space planning, commercial space drafting, retail space design, and retail expansion planning. Over the years, we’ve developed an understanding of how critically important it is for retailers to maximize the use of every square foot of floor space. While it can be difficult for some, our teams are highly capable of utilizing valuable retail space most effectively, helping clients to showcase their products and services most profitably. With resources available by the hour or on retainer, we help you retail space planning teams get the job done as quickly and efficiently as possible - and at a lower-than-expected cost! University-level degree (or equivalent) in a field related to architecture, interior design, or retail management. Working experience of minimum 3 years in the fields of customer service, retail sales, or sales reporting and targeting. Well-acquainted with basic computer software including Microsoft Office Suite as well as all the necessary internet browsing clients. Knowledge of the necessary manufacturing and shop fitting techniques required to set up flawless retail space. Relevant industry-related software including REVIT, AutoCAD, Adobe Illustrator, Adobe InDesign, and Adobe Photoshop, SolidWorks, 3DS Max, and Rhino. Ability to visualize retail space in detail when working from the limited information or from visually lacking written site reports. 3D Space Modeling With our range of expert skillsets and industry experience, we can transform blueprints, and 2D drawings into highly detailed 3D space render. We pay close attention to your requirements, giving you the wiggle room needed to visualize the detailed, life-like retail plan in its entirety. Store Space Design We take care of every step in the retail space design process including zoning, store layout, interior design, visual branding, and the location of displays. We focus on helping to plan a retail space that has amazing visual appeal. Store Space Planning and Drafting With our range of expert skillsets and industry experience, we can transform blueprints, and 2D drawings into highly detailed 3D space render. We pay close attention to your requirements, giving you the wiggle room needed to visualize the detailed, life-like retail plan in its entirety. Merchandise Updates By taking a closer look at existing blueprints or using floor plans to create new blueprints, we help to create effective merchandise layouts to use any available space in the best possible way. We help to enhance the customer’s shopping experience while maximizing the store’s ROI. Consultancy Services When needed, we offer targeted consulting services based on several decades’ worth of experience in retail design and drafting. Address All Your Planning and Design Needs With BOP, you can rest assured that you have access to a one-stop-shop for all the necessary retail space drafting and design needs. We tackle everything from 3D blueprints to highly detailed renders. Ultimate Flexibility for a Better ROI With us, you have full control over how you want the planning and design processes executed. You choose how to use your time budget and resources, ensuring a marked improvement in your ROI. Unparalleled Industry-Related Expertise We pass all of our experience and skill on to you. We’ve worked with some of the best minds in the industry, and as such have amassed a large amount of knowledge regarding retail space planning and design. Far-Reaching Global Exposure Depending on your needs, we have access to resources which are well-acquainted with building codes in the US, UK, and Europe. Experience Across Several Retail Industries We can deliver top quality retail space planning services to clients in several industries. Between them, our drafters have amassed several years worth of experience in retail space planning for hotels, restaurants, banks, supermarkets, jewelry stores, furniture stores, pharmacies and more. Up-to-the-minute Knowledge All of BOP’s drafting experts are extremely familiar with BIM. 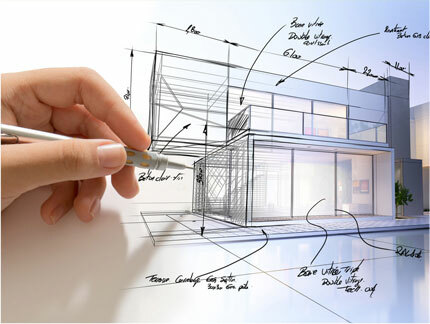 We make sure that our team stays updated on all the relevant software including AutoCAD, REVIT, Rhino, and more. With the help of BOP’s engineering experts, you’re guaranteed to be able to churn out top-notch retail space planning documents that accurately reflect your client’s vision. Contact us via our easy-to-use online form to discover how we can help improve your business processes.